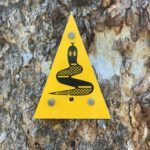 A wonderful introduction to overnight hiking for a young person with endless beauty and challenging sections to feel great self-satisfaction. 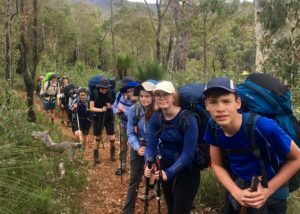 This three-day experience on the Bibbulmun Track has been designed to meet the Duke Of Edinburgh International Award Bronze level (see below). I have added limited space for non-Duke Of Edinburgh participants. I have completed this section several times in a group and solo. We join the Bibbulmun Track off Dale Rd and head north across the beautiful Darling Scarp. This area is bound by Jarrah and Wandoo forests. Granite dominated hills make up the Helena Valley. We stop for the night at the stunningly positioned Beraking Campsite over the valley. Today is mostly flat and easy with small sections of steep hills. Day one is all about adjusting to our gear and walking. Today the beautiful walk continues through the Darling Scarp and closer into the water catchment area of Mundaring. We will stop at the equally beautiful Waalegh Campsite for lunch. One of the most beautifully situated campsites on the track Helena was unfortunately burnt down during a bushfire in January 2018. The brand new open hut is due to re-open soon and we will get to enjoy this truly beautifully positioned campsite. This section is more challenging than day one, the track is hilly most of the day. It’s an opportunity to see how a forest rejuvenates itself after a devastating fire. The Helena Campsite to the Ball Creek Campsite is both stunning and challenging. The climbing is equaled with awesome views and total tranquility. We will walk through the Perth Hills Discovery Centre and the Mundaring Weir Hotel. Didier Walks offers the participant a genuine hiking experience. We will learn to compile the appropriate gear for the hike. You can expect to carry a pack of about 17kg, depending on your gear. You can expect to walk around 4km per hour over the course of the day including breaks. This is very achievable. This is a genuine hiking experience with your life on your back. The Bibb has campsites that have three wall open huts (see the main photo), tent areas, rainwater tanks and drop loos. A tent or other suitable shelter is always required encase we are unable to or choose to not stay in the hut. You will feel times of exhilaration, adrenaline, solitude, and exhaustion. Reaching campsites at the end of each day is a genuine feeling of pride and self-gratification. While encouraging you to always experience your own personal journey I will share with you my experience and support you every step of the way. I support you in a way you need to be supported. * 15 years mentoring experience within the mental health, recreation, training and recruitment sectors. I have not included transport for this hike as both ends are easily accessible and not too far. It also keeps the price lower. If separate transport is required it will be adjusted and the price will increase a little. Also, speak to me if you require transport. Didier has over 15 years of experience working in mentoring roles with young people and adults in recreation, training, disabilities and mental health. In 2016 he successfully completed a solo end-to-end journey of the 1000km Bibbulmun Track. In 2012 Didier was nominated as a Finalist in the WA Disability Service Awards, for his passion and work with young people in employment and training. In order to cover costs and to meet Duke Of Edinburgh Award peer participation requirements, I require a minimum of 4 fully paid bookings and Participants for the hike to run. 4% of every booking is donated to the Bibbulmun Track Foundation.